Jonathan Robert Swope was born in March of 1965. He spent most of his childhood in Wichita Kansas, where he accepted Christ as his personal Saviour at the age of twenty. Feeling the call on his life to become a preacher, he followed the will of God as he went on to graduate Bible College, returning to Wichita to serve under the pastorate of Ted Swope. At age thirty he met Sarah Martin, whom he married in the spring of 1995. Soon after the wedding he became the Assistant pastor at Beeville Baptist Church, in Beeville Texas under the leadership of Pastor Tim Stowe. He served in Beeville for almost nine years, from March of 1995 until September of 2003. The Lord called him to pastor the Faith Baptist Church in Meeker Colorado on September 7th of 2003. There he spent eight years growing the childrens ministry and mission department; being the only Church in the town to run a Sunday morning church bus. 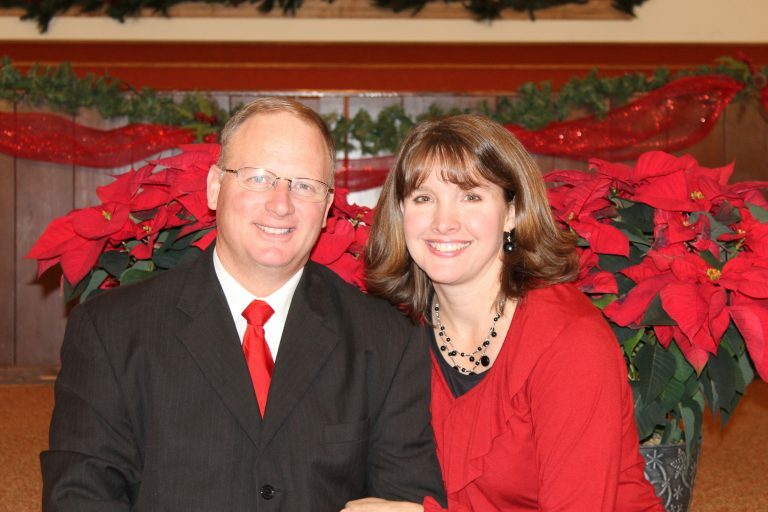 Pastor Jon Swope was called to the pastorship of Bethel Baptist Church in March of 2011; bringing along his wife and their four adopted children to help serve the church. On July 23rd, 2013 he received an honorary doctorate from Lone Star Baptist College in Mesquite Texas. Today he continues to serve the Lord along side his family. We are greatful for his stand on the King James Bible and the principles that make up its’ foundation.